Apple has been found guilty for infringing on three Qualcomm’s patents and needs to pay up. A jury in the US District Court for the Southern District of California found that Apple used three separate technologies, belonging to Qualcomm, with a multitude of their devices, without the latter’s permission. The devices that have this technology are iPhone 7, 7 Plus, 8, 8 Plus and X. The three patents that were used are related to how devices connect to the internet when they boot up, how they’re able to transfer data to and from the internet quickly, and how they can show rich visuals without the battery suffering too much. Don Rosenberg, Qualcomm’s executive VP and general counsel said these technologies allowed Apple to become so big, so fast. 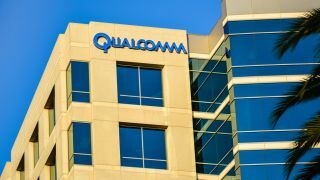 “The three patents found to be infringed in this case represent just a small fraction of Qualcomm’s valuable portfolio of tens of thousands of patents. We are gratified that courts all over the world are rejecting Apple’s strategy of refusing to pay for the use of our IP,” he said. This is just the latest in the string of lawsuits and legal shenanigans the two companies have kicked off in the past couple of years. In late 2017, Qualcomm accused Apple of using its commercial influence to gain access to the company's proprietary and highly confidential software at a source code level. Earlier that year, Qualcomm sued Apple over “unfair licensing terms”.